I love these lights. They were shipped quickly. I ordered two for over the island. I have not installed them yet but it looks like I might need an electrician. They have a very modern sleek look to them. 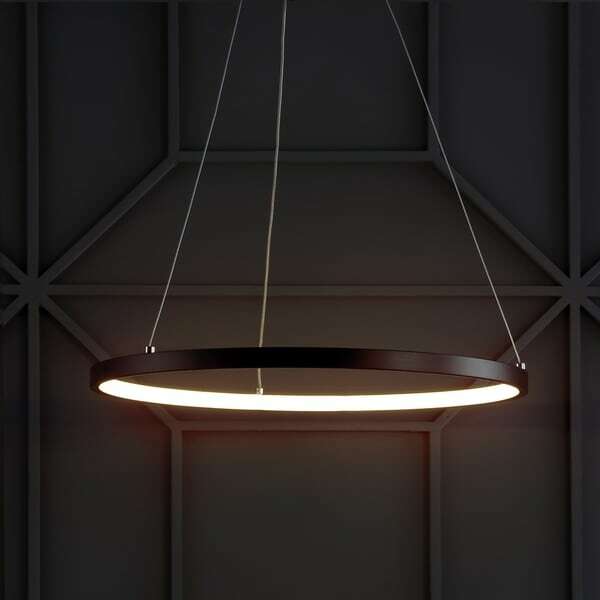 A single hoop with a matte black finish is suspended with three wires in this modern hoop pendant light. An integrated single-light LED lines its interior illuminating any space with a balance of brightness and warmth. Ideal for any modern setting, it will look right at home over a kitchen island or dining area. Dimensions 15.75 In. X 15.75 In. X 72.0 In. "Is this light dimmable ?" "What is the led lamping temperature on this? 3000K or 5000K"
"How much light coverage dose this cover?"